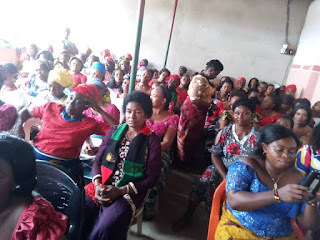 The Igweocha Women of the Indigenous People of Biafra (IPOB), held her monthly general meeting last Sunday being 5th August, 2018. The meeting kicked off with opening prayers and rendition of Biafra National Anthem. This enlarged (general) meeting of IPOB Igweocha women was put together as a tool for unification to strengthen the Biafra restoration struggle from the "Mothers Angle". The forceful involvement of our women in this project has invaluably lend credence to the declaration of our leader, Mazi Nnamdi Kanu who earlier stated that the moment you see the appearance of Biafra women on the scene, it then signals the victorious end of the restoration struggle. 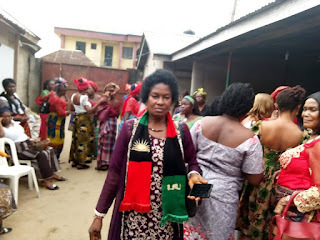 The IPOB Igweocha women it should be noted, has gone this far through the grace of God and the indomitable spirit of the women leader who has uncompromisingly stirred the ship of the Igweocha women afloat irrespective of daunting challenges. The Igweocha women remain bold and formidable in the restoration drive of the Indigenous People of Biafra. The topic of this month's general meeting hinged on: "DO NOT BE A SABOTEUR TO THE EFFORTS OF IPOB". Corroborating the encouraging message inherent in the above topic, the elderly women participants advised the younger ones to keep to the tenets of the struggle undeterred. They strictly warned against the dangers and consequences of acts of betrayals. 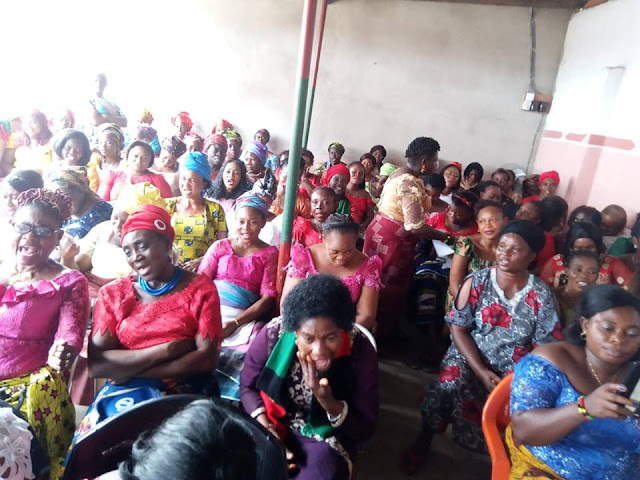 The women observed that though they could be unavoidable traces of blacklegs in all human organisations, the IPOB Igweocha women should not fall prey to whatever trappings of the enemies in that regard. In sealing their covenant on this issue, some definite and binding prayers were carried out. 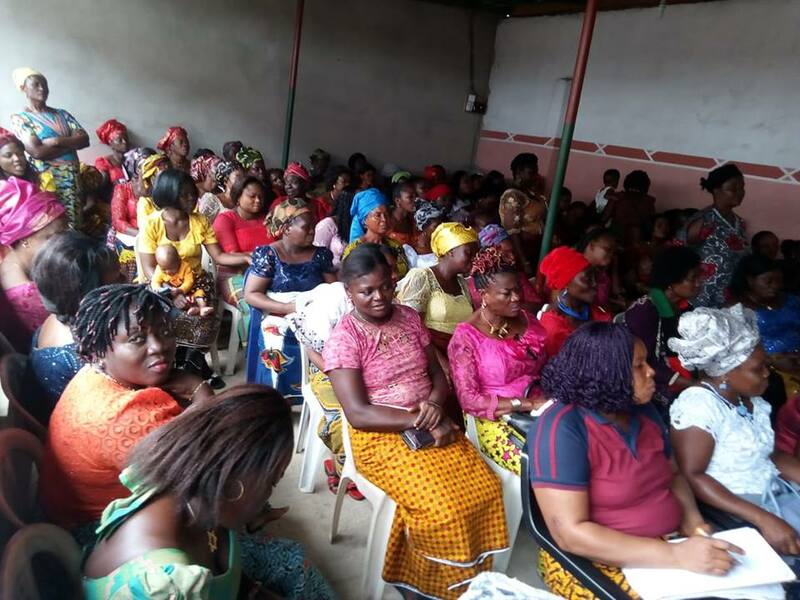 The women leader sternly warned that anyone who after now constitutes herself as an object of sabotage in whatever shape, should be prepared to suffer the consequences. The women unanimously indicated their preparedness for the upcoming Biafra referendum. They promised to drive the message of this exercise to every nook and cranny of Igweocha and environs. 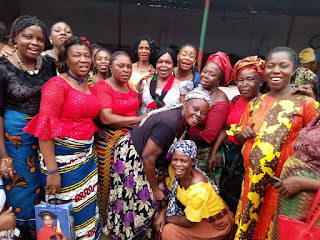 The women exuding some aura of fulfillment with the day's deliberations, ended the meeting amidst refreshments and shots of group photographs.